The Hot Dog Truck: Can I Take a Picture of Your Hot Dogs? What do you mean I hardly know you?? Can I Take a Picture of Your Hot Dogs? What do you mean I hardly know you?? I finally found the battery charger for my digital camera and I brought it to the truck. When there was no line, I would ask the patron "do you mind if I take a picture of your hotdogs?" I couldn't do this on a cold day since folks usually grab their dogs and run for their car. 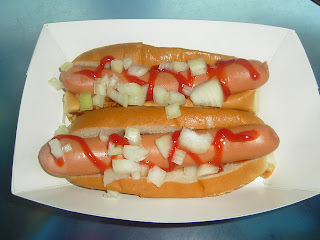 Luckily, it wasn't too cold today so I had a few takers who wanted their hot dogs immortalized on the world wide web. 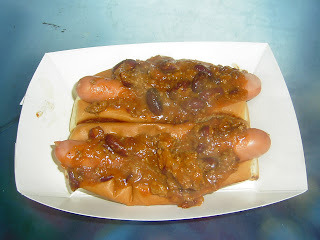 Pictured are 2 fabulous chili dogs (left) and 2 with ketchup and onion (right). Kinda makes you hungry, doesn't it? I used to use ketchup on hot dogs, but then I grew up. ha! 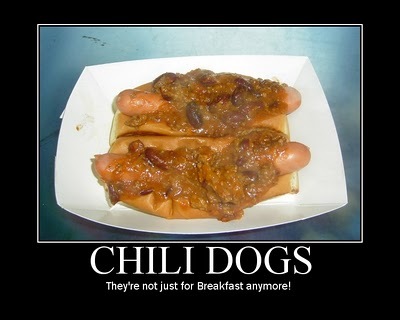 Although the chili dogs aren't photogenic, I want one. Congrats to Dice-K, good outing. The flash kind of bleached them out a bit. Ask me about Dice-K in APRIL!